The novice bartender might think that shaking and stirring are interchangeable. Either way, you’re mixing together the ingredients. And shaking mostly just makes you look cooler and gives you a 30-second tricep workout, right? 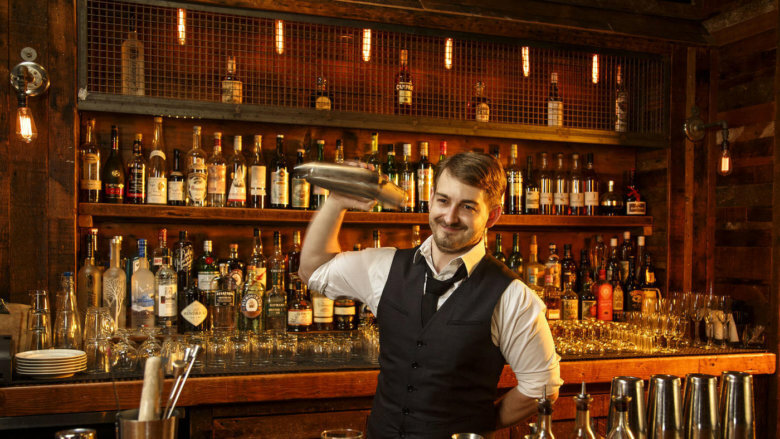 Despite the name of this site, you don’t actually want to shake every cocktail you make! And though you likely remember Tom Cruise shaking every order he got in Cocktail, he probably shouldn’t have been. Why? Well, because shaking actually changes the texture of your drink. And depending on what’s in your cocktail, that may or may not be a good thing. Does it have juice? You should shake it! When you shake your ingredients with ice, you’re doing three major things. First, you’re incorporating a lot more air than you would by simply stirring them. This creates tiny bubbles of air. Second, you’re adding a lot more water than you would by stirring, as the ice breaks down more quickly and melts into your drink. Third, that extra melted ice chills your drink much more rapidly than a simple stir would. Of course, sometimes these are desired effects. For one thing, the extra chilling can be good if the drink is meant to be served without ice. But more importantly, both the extra water and air bubbles will tamp down drinks that might taste too bold if you had simply stirred them. For example, a classic Daiquiri contains a lot of lime juice, which is pretty acidic. This would make the drink taste overwhelmingly sour if you were to stir it instead of shaking it. In fact, if you’ve ever made a Daiquiri and skipped the shaking, you probably thought it needed more sugar. Even if you added that sugar, you may have still felt that it didn’t taste quite as good as your local Tiki bar. They probably don’t have a secret recipe; you’re just missing those palate-pleasing air bubbles. If you don’t believe us, Mythbusters proved there’s a noticeable taste difference between shaken and stirred drinks! Shaking is also a must if you’re making a drink that contains egg whites. (Or their vegan counterpart, aquafaba, which is the liquid from a can of chickpeas.) Shaking up something that contains one of those ingredients, like an Amaretto Sour, will result in a pleasingly frothy texture. On the other hand, we don’t even want to think about drinking something where the egg white was simply stirred in. You absolutely want to make sure that’s properly emulsified with the other ingredients. Shaking has enough of an effect that there are multiple kinds of shaking, including rocks shakes, dry shakes, whip shakes, and reverse dry shakes. A rocks shake is probably what you think of when someone says to shake a drink, and if a recipe simply says to shake, this is what it’s likely referring to. As you probably already know, the “rocks” are ice. So the idea is to shake your cocktail ingredients with ice, which, as we mentioned before, rapidly cools and dilutes your drink. Shake vigorously for at least 15 seconds, but probably not more than 45. If you hear the ice breaking down a lot, it’s definitely time to stop and strain. After all, you don’t want to over-dilute your drink. Note: If you can, use larger pieces of ice for shaking, especially when making cocktails with dairy or egg whites—their texture will be greatly improved for it. If you’re mixing a juice based drink, however, the size of your ice cubes won’t make a noticeable difference in the final texture of the drink. 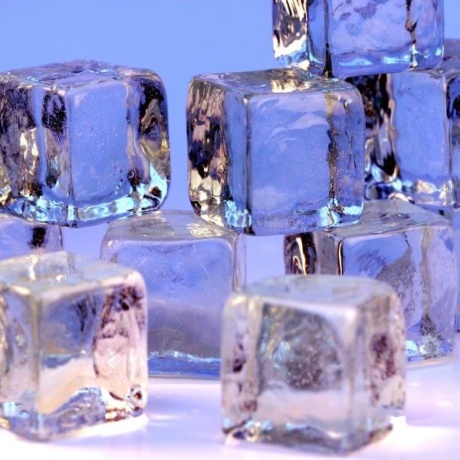 Also, some experts say larger pieces of ice will break down less, meaning the drink gets less diluted. But others say the difference is so minimal it’s not worth the trouble of making extra-large ice cubes for mixing your drinks at home. No matter what you decide, you should definitely not use crushed ice for shaking your drinks. These will break down much too easily and certainly over-dilute your drink. A dry shake is essentially the same as a rocks shake, minus the ice. This is done mostly with dairy or egg whites so you can properly emulsify the ingredients with the alcohol, or with a drink being served over the rocks. Dry shakes (with dairy or egg whites) require vigorous shaking for anywhere between 15 and 60 seconds. A reverse dry shake combines the rocks shake and the dry shake, and is generally used for drinks with egg whites where you want to achieve a really impressive amount of foam. Simply do a rocks shake, strain into a glass, discard the ice and then reshake until you have the texture you’re looking for. A whip shake is a much less common method of shaking that is mostly used for drinks being served over pebble ice, like a Mai-Tai. For a whip shake, you’re adding just a two to three pieces of pebble ice to the shaker along with your ingredients, and shaking until the ice has fully dissolved. This barely cools down or dilutes the drink, but that’s the point, since you’re about to pour it over a glass filled with small pieces of more ice. If all that was a lot more than you wanted to know, just remember the classic bartender’s rule of thumb. You should probably shake anything that has juice or dairy, though if you don’t always do this, we won’t tell anyone. (Rum poured straight into eggnog and the classic Screwdriver are some common—and delicious—exceptions to this rule.) But you should most definitely shake a drink that contains fresh egg whites or aquafaba. If you don’t, your cocktail is pretty much undrinkable. Stir drinks comprised entirely of alcohol. Comprised of just gin and vermouth, common convention tells us that a Martini should be stirred (not shaken). Stirring a cocktail will do more than combine the ingredients. It will also slightly chill and dilute them, leaving the texture mostly unchanged. For most people, this is preferable when making a drink like a Martini. 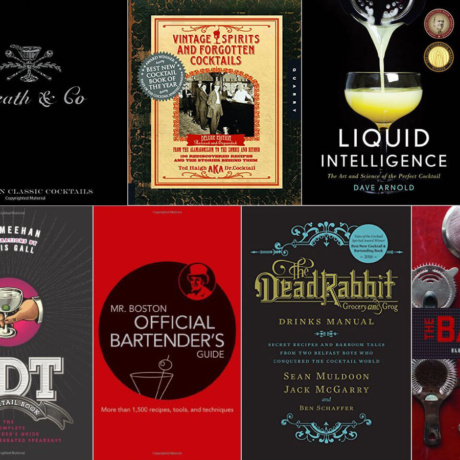 It’s all about letting the flavors of high quality alcohol be front and center. (Sorry, Bond.) It also makes stirred drinks the optimal choice if you’re looking to order something you can sip on for a while. On the other hand, you should usually drink a shaken drink fairly quickly. A drink shaken with egg whites will keep its frothy texture for a bit, but a drink shaken with juice will lose its aeration fairly quickly, so bottoms up! Generally, stirring is also preferable for home bartenders simply because it is much less complicated than shaking. 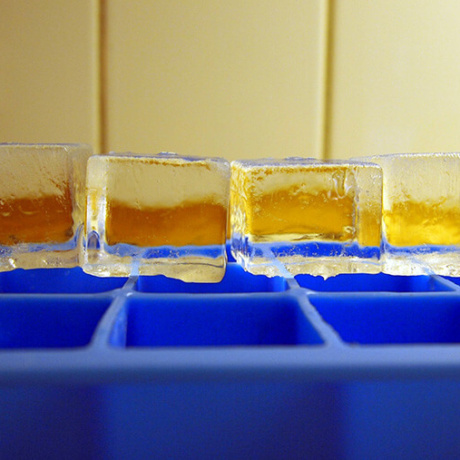 But ice matters a bit more here, as it will have more of an effect on temperature and dilution. Do you want to chill a drink a little faster (and by the same token, dilute it a little more)? Just stir it with smaller pieces of ice before straining into a serving glass. You might be tempted to skip stirring if your alcohol and glass is already cold, but the extra effort is well worth it. 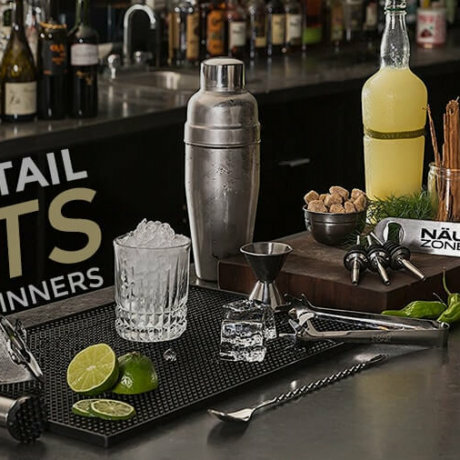 This is especially true for cocktails like the Martini or Manhattan, which aren’t traditionally served with ice. 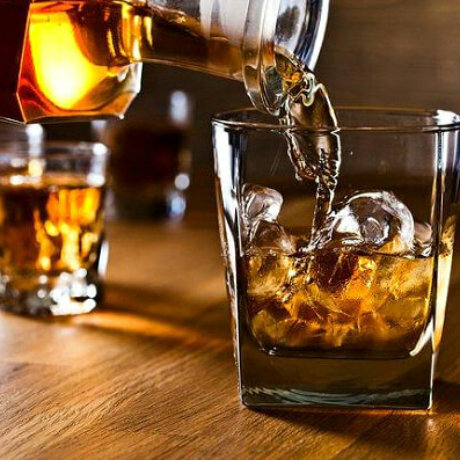 In fact, there’s a reason drinks made entirely from spirits are tastier to sip than most shots. 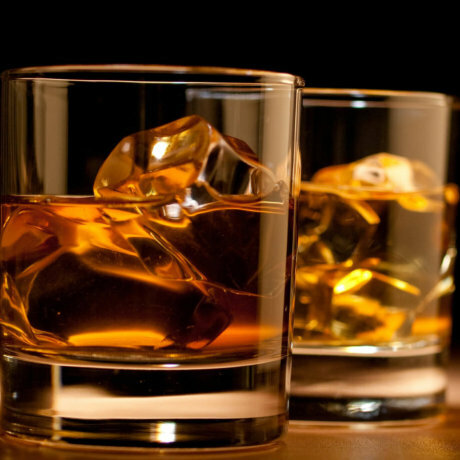 A little bit of dilution goes a long way in rounding out alcohol’s aggressive flavors. To stir like a pro, make sure you have a bar spoon, a tall glass, and watch a video or two to get the technique just right. It’s harder than it looks, and doing it properly will let the bar spoon smoothly glide around the inside of the glass. If you’re doing it right, everything will move without breaking up the ice too much. Stir for about 30-60 seconds, depending on how much dilution you’re after and the size of your ice pieces, strain and drink—simple as that. So, in summary—shake if it has juice, dairy or egg whites; stir if it’s all alcohol. It’s a little more work to do it right, but that’s true for all the best things in life. Cheers!